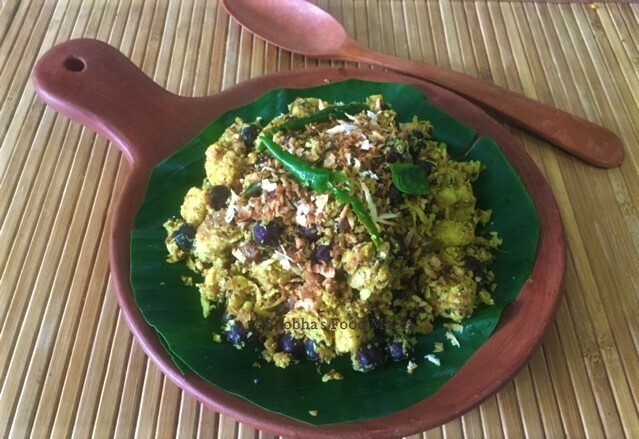 Kootu kari or Koottu Kari is a traditional preparation of Kerala and one of the important dishes made for Onam Sadya/ Sadhya. 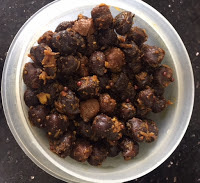 It is a dry preparation made with vegetables like yam, pumpkin, ashgourd, raw banana, carrots with the addition of black chickpeas (kala chana) or chana dal. 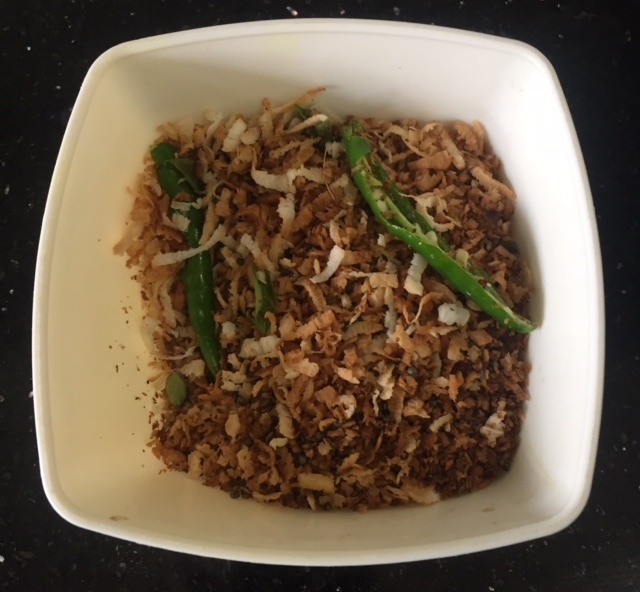 Lot of coconut is added to this which makes it extra special and specially the roasted coconut added in the end gives it an amazing flavour and crispiness. 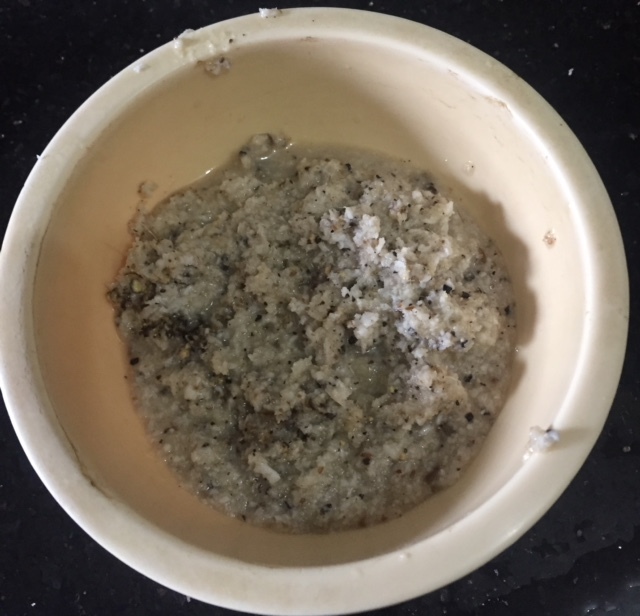 I have used yam in this preparation as it is one of the secret ingredient given by my partner Kalyani Sri of Sizzling Tastebuds. Do visit her space for delicious recipes. 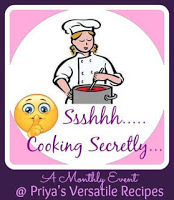 In our group, "Shhhhhh Cooking Secretly" where we are paired with a co-blogger and 2 secret ingredients are chosen by her. We have to prepare the dish with them. The other ingredient is green chillies. The theme for this month is Kerala Cuisine. Green chillies .. 3-4 or as per your liking. Boil the yam cubes adding a little salt and turmeric. Drain them and set aside. Boil the black chana with a little salt. Drain and set aside. 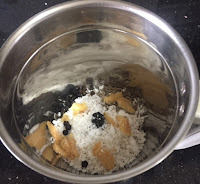 Grind together 1 cup coconut, cumin seeds , pepper corns and ginger to a coarse paste. Remove it in a bowl and set aside. 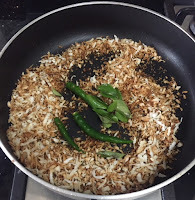 In a pan dry roast the remaining 1 cup coconut until it gets crispy and golden brown. 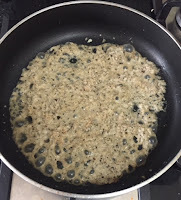 When it is almost done tip in the mustard seeds and allow them to crackle. Now add the curry leaves and slit green chillies and stir fry a little. 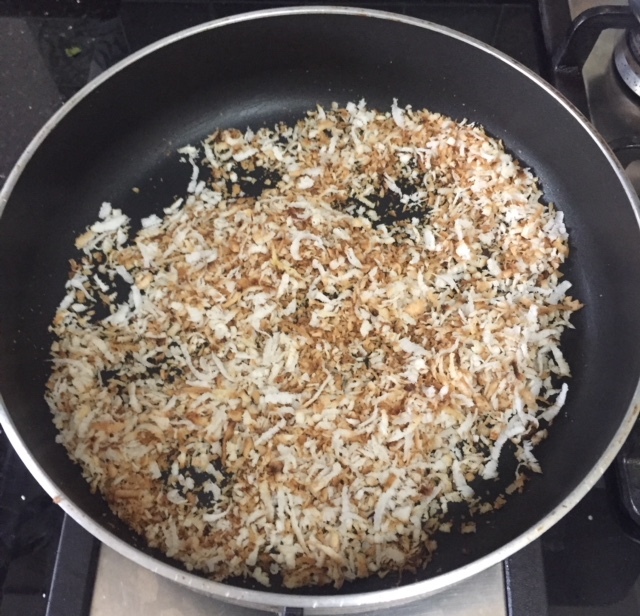 Remove the roasted coconut into a bowl. Heat oil in a pan and add the ground coconut paste. Saute a little. Add the boiled yam pieces, kala chana and mix well. 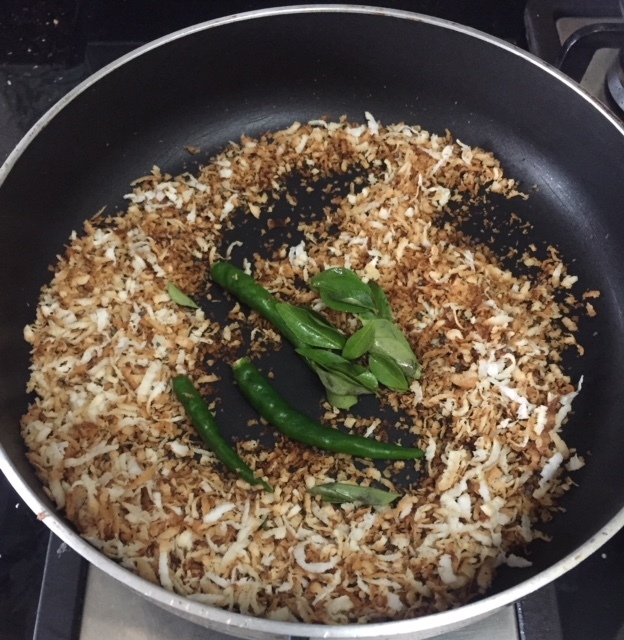 Finally add the crispy roasted coconut leaving a little for garnishing. Serve with plain rice, dal and any vegetable curry. Sounds delicious. 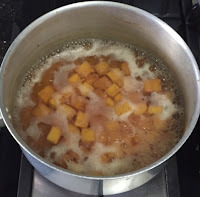 I have yam with me right now and was wondering what to make. Wow.. then make this one with dal chawal. I love the sound of Yam and chickpea curry - not too complicated using everyday ingredients. Yours looks amazing as usual and I like the way you have served it as part of an Indian meal. Thanks for appreciative words Mina. Glad you liked it. Yam and Kala chana make a wonderful combination. In Tamil Nadu a similar kootu with dal is made out of these 2 key ingredients but nothing matches the Kerala cuisine taste with the grated and roasted coconut on top and drizzling of coconut oil. Always a hit and a small portion is enough to keep you full. True Vidya.. I love eating this as a snack too. Thanks.. the combo does taste yummy all mixed together. Love coconut based dishes, this one sound yum, so much flavours running around in the recipe surely it would taste yum. Lovely combination...Simple recipe with regular ingredients but so yummy...Loving it to the core!! Thank you so much Padma. Sounds so yumm. Loved the combination of ingredients in one dish. Deliciously made perfect meal idea. Kootu Kari looks delicious and tempting. Thanks for the recipe. This is a new recipe for me to try and it looks so yum! 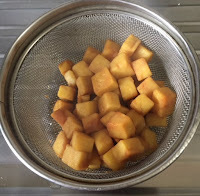 It can be made without oil as well Anshika.. very healthy . Kootu Kari sounds delicious. I love Yam fries. The combination of yam, coconut and chana looks good. 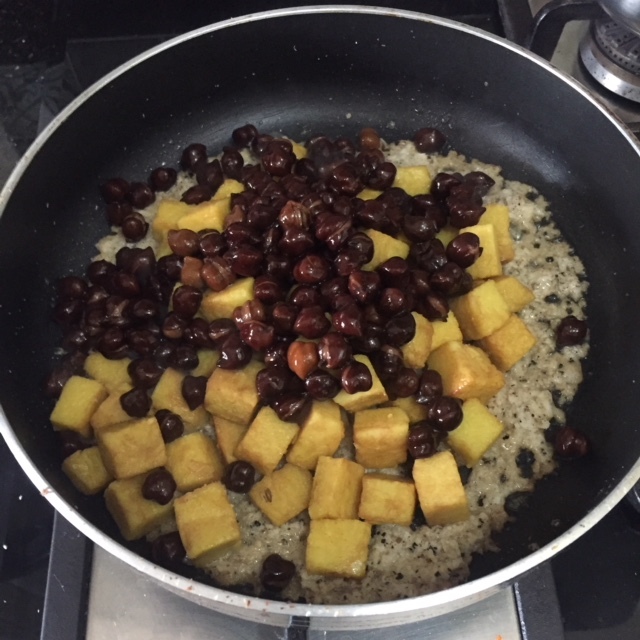 Authentic Kerala recipes always rock. This kootu itself is a perfect meal. Great share! Right you are.. I eat it like a snack also. Kootu curry looks tasty, yam and black chana is a nice combination. This looks so tasty and yum and a a good way to include both in a recipe. Yes.. a perfect and healthy combo Renu. Never tried this curry but with coconut flavors i guess it must be delicious. Thanks Ritu.. You will love this preparation. Wow..never seen or heard about this dish, sounds so delicious. Have you used Suran? Do let me know. Yes, It is suran Jagruti. Simple and amazing flavours. 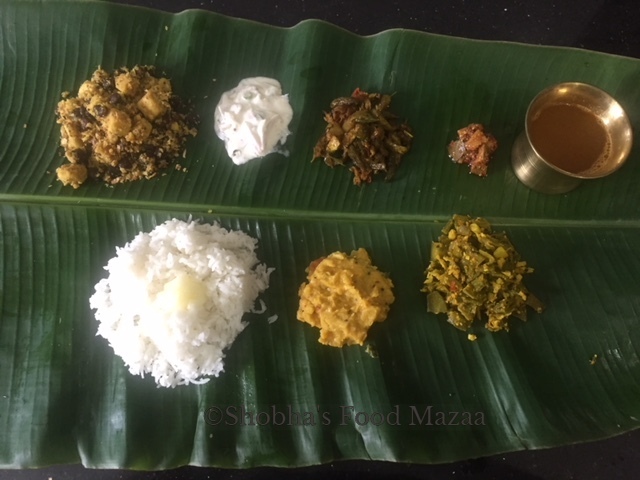 Love kerala cuisine and their sadya recipes are awesome. Same here.. I love them too. Wow I bet this would make a great side dish at any buffet and party! Yes Heidi.. you can also pair it with grilled meats on the side. What a flavoursome dish, I have never tried this type of dish but I am going to try it from this recipe for sure. Nayna, you will love it as it is a healthy dish and can be made without oil too. Yes Priya.. loved it too. Kootu curry is one of my favorite kerala dishes and your dish looks so tasty and flavorful. Cant resist to this delicious and inviting kootu kari, that with those coconut, omg,completely droolworthy. Mouthwatering already. Thanks priya.. specially the roasted coconut on top adds to the taste. Never tasted koottu curry. This sounds flavourful and mouthwatering. Drool worthy share. Shobha, this kootu kari sure looks so delicious. 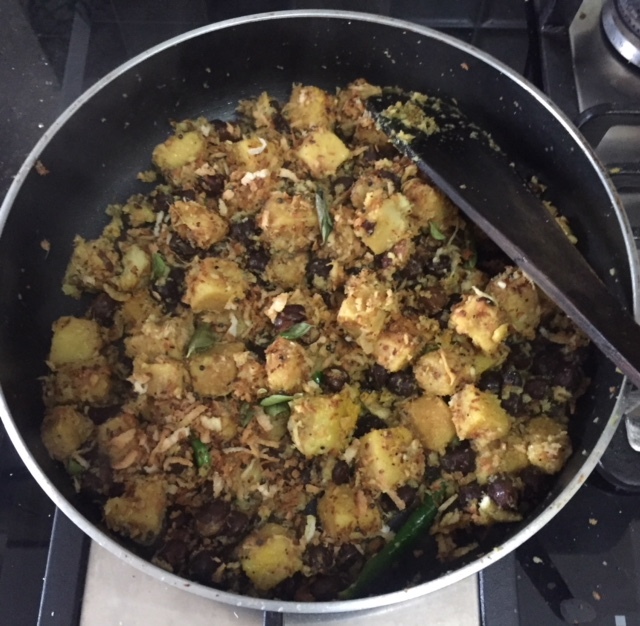 I would have never thought of combining yam and chickpeas to make a delicious sabji. Wonderful share for the theme. Coconut plays such an important part in the cuisine of Kerala. Yes Mayuri, almost all the Kerala dishes have coconut or coconut milk in them. Very healthy. Thanks for liking the recipe. you have a mini kerala thali right there! so glad you liked both the ingredients, and that curry must hev been lipsmackign.. Thanks Kalyani, I love eating on banana leaf.. since I made kootu kari I thought might as well make few other dishes. Shobhaji, you brought back one of those childhood recipes which reminded me of my neighbour. She used to always make it the way you have described and we used to get bowlfuls with a little slice of brine pickled mango ...just as a mid morning snack as she cooks. Missing those days. Sweet memories from childhood are always cherishable. 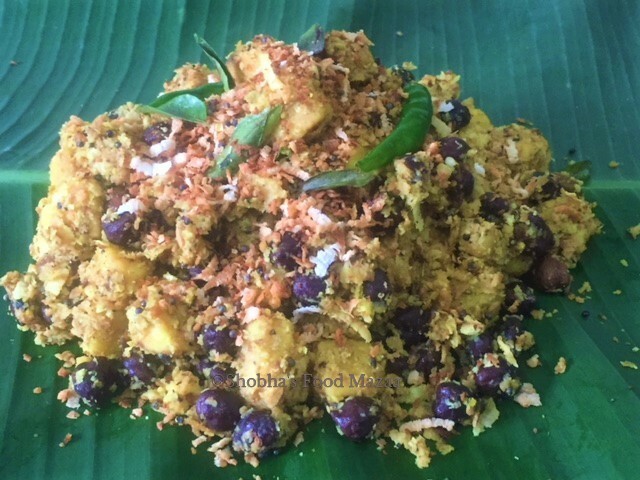 Im trying to imagine the flavours and textures of this kootu kari - with the cooked yam and black chickpeas, the coconut paste, all topped by the roasted coconut! I haven't had this one before and I hope to try it soon. It does sound delicious! 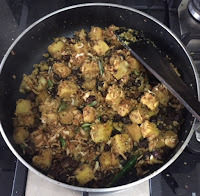 It really is very unique and delicious Sujata.